Display Case No. 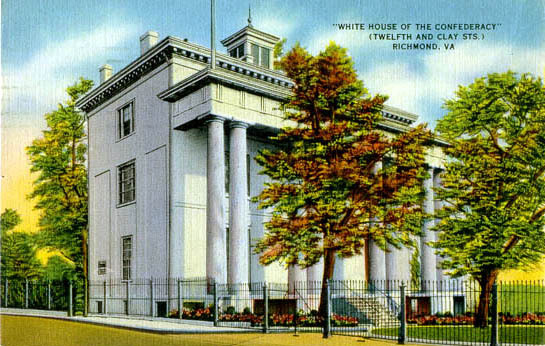 1, Kentucky Room, Confederate Museum – In February, 1896, a group of Richmond ladies organized as the Confederate Memorial Literary Society and opened the Confederate Museum, in the old White House of the Confederacy, at the corner of 12th and Clay Streets in Richmond. Individual rooms were designated to display objects from each of the Southern states that participated in the Confederate war effort. The fledgling Museum obtained cases to hold and display memorabilia from each combatant state. Though the state of Kentucky never seceded, many of its military units raised during the war, fought arduously for the Confederacy. Case No. 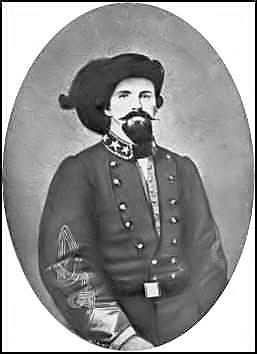 1 in the Kentucky room held a variety of objects, but primarily artifacts associated with Confederate General John Hunt Morgan. Indeed, this case still retains its original toleware, “Morgan” placard. When the new museum was constructed, in 1976, the original, state display cases, from the White House years, were sold. The “Morgan case” was acquired by noted collector Bill Turner. The case is finished black and retains all of its original heavy, thick, leaded glass. It measures 78 inches tall, 21 ½ inches deep and 60 inches in width, though the base dimensions are slightly larger. Two shelves are held in place by four iron brackets. It can be disassembled for ease of moving. This case affords someone an opportunity to own both an historic and significant display case, as well as a wonderful mode of exhibiting prized collectibles.